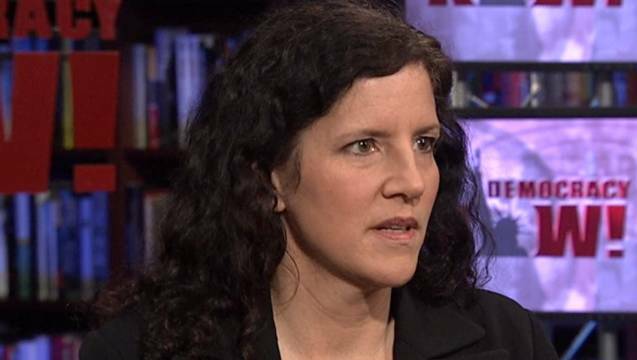 THURSDAY: Laura Poitras on Her New Edward Snowden Documentary, “CitizenFour” | Democracy Now! On Thursday, we will interview award-winning documentary filmmaker Laura Poitras about her new film about surveillance, “CitizenFour.” Click here to watch the trailer. Poitras played a key role in connecting National Security Agency whistleblower Edward Snowden to Glenn Greenwald and the reporters for The Guardian and The Washington Post who published his leaked documents about government surveillance. In January 2013, she was contacted by an anonymous source claiming to have evidence of NSA illegal activity. After several months of anonymous emails, she traveled to Hong Kong with Greenwald to interview the source, Edward Snowden. Her NSA reporting contributed to a Pulitzer Prize for Public Service awarded to The Guardian and Washington Post. Along with Greenwald and Jeremy Scahill, she is co-founder of The Intercept. “CitizenFour” is the third part of a trilogy of films about America post-9/11. The first film was about Iraq, “My Country, My Country,” and the second was “The Oath,” about men imprisoned by the United States at Guantánamo Bay. In 2013, Poitras spoke on Democracy Now! about how she faced harassment from U.S. agents long before she helped expose NSA spying. 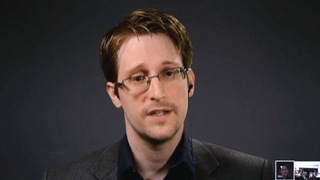 Use this video timeline to see all of our coverage of whistleblower Edward Snowden” and his exposure of the NSA’s massive surveillance state, featuring extensive interviews with Pulitzer Prize-winning journalist, Glenn Greenwald. This timeline begins in June 2013, but Democracy Now! was on the story as early as April 2012, when we spoke with NSA whistleblower William Binney, who estimated the NSA had assembled 20 trillion transactions — phone calls, emails, chats, and other forms of data — from Americans.